The configuration of the TROMBOCAT-ESMUC Trombone Choir are based in the majoryty of the Classical & Contemporany Music Department trombone students. All these students are TROMBOCAT associated. 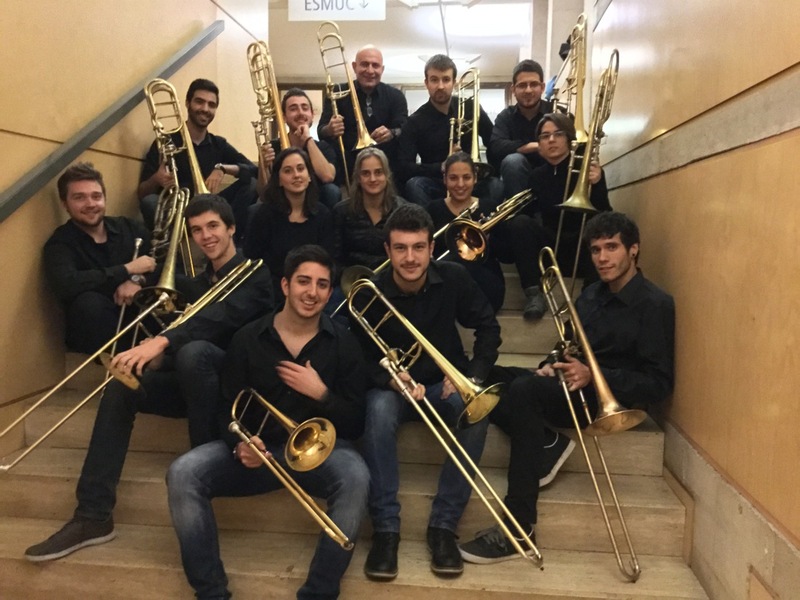 Since the Superior School of Music of Catalonia opened its doors in 2001, the formation of coral Trombones has been a leader in the musical life of the school and Barcelona. Each year holds two regular concerts in the auditoriums of Barcelona, also participates in academic events and other events in the city of Barcelona, usually sponsored by the Generalitat de Catalunya. The repertoire of Coral Trombones TROMBOCAT-ESMUC ranges from Bach to Schnyder. On this occasion ITF 2015 our training has chosen compositions ups. Therefore TROMBOCAT with the help ESMUC has sponsored the “First Composition Competition for Trombone Octet in Catalonia”. Trombonistas: Alba Pujals, Francisco Criado, Francisco Pardo, Toni Oltra, Nadia Giner, Vicent Revertè, Maria Cofan, Pol Chabier ballarín, Pau Romero, Miquel Saez, Alex Huguet, Oscar Santos, Beatriz Blazquez, Iker Velez.